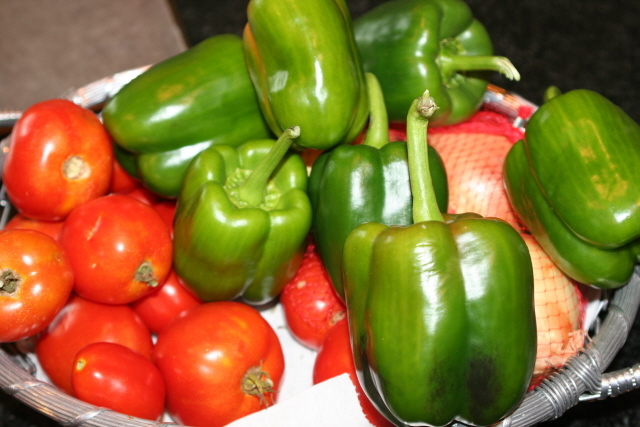 This week our garden has produced a ton of peppers with all the rain, and it is more than we can eat, see! So, I just diced them up and flash froze them. Then put them into freezer bags to use later. When you flash freeze like this, it freezes each piece separately instead of freezing them into one big lump. 1. Dice the vegetable or fruit. 2. Place on a wax paper lined cookie sheet. 3. 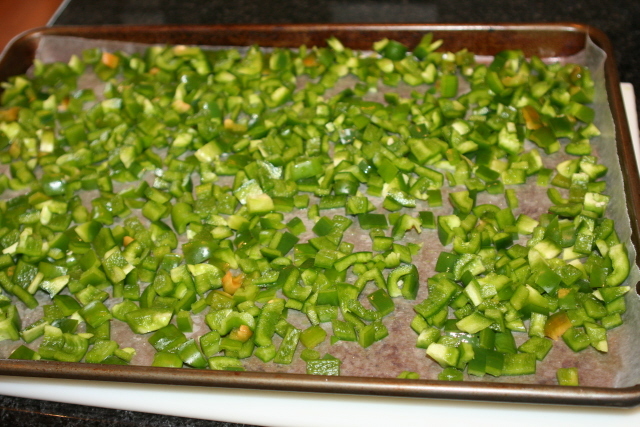 Place in the freezer for 1-2 hours on sheet pan, once frozen transfer to freezer bags. Be sure to double bag them. I use this same method on items like strawberries, blueberries, carrots, celery and more. Watch my video tutorial to see the step-by-step process of flash freezing HERE. What things do you flash freeze? Leave your ideas in the comments below. 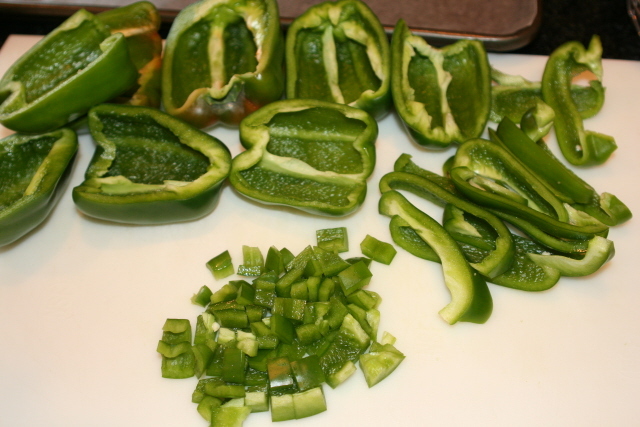 I have used this method to freeze green and red bell peppers, jalapenos, squash, and okra. What do you use the peppers for? I’ve heard that freezing peppers isn’t great because they lose their texture, so you can only use them in something where the texture doesn’t matter. Lauren, I typically use my peppers for soups, spaghetti, only for cooking, sauteeing. Another thing I have learned is that they don’t do well after about 4 months in freezer, they just dry up. You can freeze whole tomatoes for soups and sauces. When you thaw them the skins slip right off. I love to flash freeze pancakes and waffles. 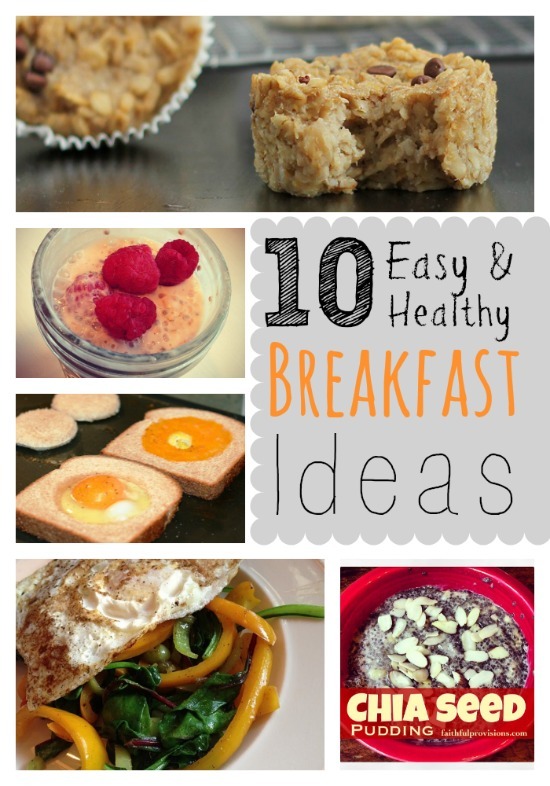 This will help when you need a breakfast in a flash. I did this with the batches I made ahead so that we could have a full breakfast on busy mornings. The flash freezing keeps your pancakes from sticking together. I’m so jealous of your produce. I’ve really wanted to plant some things to help save $. We are a traveling family though…about every 5-6 weeks were go to a new job/location. Do you know what types of of produce would grow in pot that we could take with us? I think herbs would work, wouldn’t they? What else? Thanks for your site and for taking the time to share thrifty thoughts with other that need help! I used to have a garden & did onions the same way. (Dice/chop & then flash freeze). Kelly, I’ve also noticed that you freeze bread/buns. I am going to grab some of the Bunny Bread at Krogers triples today (On sale $1 – $.75 ($.25Q x 3)= $.25/loaf of bread. Do you have any suggestions how to freeze the bread? Also, any suggestions for when thawing it so the bread isn’t all dried out? I find that double bagging helps when freezing bread. jennifer, i freeze my bread all the time. i just stick the whole loaf in the freezer straight from the store. when we start to get low, i pull one out and let it thaw. the bread is as fresh as when i bought it at the store! now if you put it in the fridge, that’s a whole different story! I agree with you. Straight from the store to the freezer. No double bagging. Bread thaws out just as if it were fresh! Do you do anything special when you take it out of the freezer? Do you put it in the fridge first? Or just thaw it on the counter? I’m afraid the ice crystals would make the bread moldy faster. Thanks for the tip! I know this is a bit old, but I freeze bread ALL the time, I actually keep it in the freezer . When I need some, I take it out and use it – straight from the freezer. It always tastes fresh – toast it from frozen, or if you want it not toasted, pop it in the microwave for a few seconds….works amazing! I freeze everything. I freeze whole gallons of milk, cheese, hot dogs/sand. meat, bread. With bread, I just freeze it how I get it from the store and then put it directly into the fridge when I pull it out. Bread gets moldy here fast so I can’t really leave it on the counter–even if I don’t freeze it. If the last few pieces start to seem a little stale, I just toast it! With milk, I pull it out and put it in the fridge. It takes a day or two to defrost, but it tastes just fine. I haven’t had any problems with sliced or block cheese either. Thanks for the information about the vegetables though! That is one thing I am always afraid to freeze! .-= Pamela B´s last blog ..Getting Organized- 2010 =-. i freeze black beans! cook up a pound or two, flash freeze them, then bag up to add to recipes our warm up in small amounts for a side. I brown and season ground beef, then flash freeze it. Once frozen, I put it in a zip-bag. We can then pour out the right amount to use for potato toppings, make a taco, or any other recipe. It helps when you aren’t sure if you’ll need one serving or many. I do the same thing with chicken — boil and debone and tear it into chunks, freeze, then bag. I keep these two staples in the freezer all the time! I flash freeze blueberries every summer. Almost done with my batch from last year. why do you need to double bag after the flash freeze? Thanks so much for sharing this great idea. Wish I had known about it years ago. Used the old-fashioned method of parboiling and then putting in ice water and draining before freezing. Now that I know about this quick and easy method I will be able to fill my freezer for the winter when there are good sales on fruits/vegetables, during the summer when farmer’s markets are open, when we get free vegetables from friends at church who have a garden and share, and also my blueberries from our bushed that we love to share. I like to use snack bags or pint sized bags for freezing as it is easy to share these amounts with widows or single people and even for us since we only have 2 in the house and we don’t eat as much as before. Keep up the great work you are doing on this website. I love following it. Kathleen, love your ideas on small portions to share! Thanks so much for reading and coming back each day! Thank you and the other ladies for all of your wonderful tips! Love your blog and your book. Everyone needs to buy Kelly’s book. It is hard to put down. Anyway, I was wondering what your thoughts would be for using a Food Saver device that pulls all of the air out from the vegetables, etc. and then freeze them that way? I was hoping this might keep them fresh even longer. I have saved and learned so much from you. Thanks a lot (-: I want to try flash freezing but just wanted to know if some food/veggies/fruit/meat can always be flash frozen raw? Are there some things that should be cooked or blanched first before flash freezing? I usually just blanch greens and whole tomatoes. Greens blanch well, and tomatoes to get the peel off before freezing them whole. Hope that helps! can veg’s be blanched and flash freezed? I just did it, but now I don’t know if the carrots will be alright ? When you were given details about flash freezing do you wash the produce first. I have heard to do this both ways. I have just now washed a 1/2 bushel of okra and I want to flash freeze these. Yes, but I let them dry well before freezing. What about freezing corn on and off Cobb, should Blanche it or Shuck it , seems when I Blanche in hot water then cold water seems to make corn kinda Colby tasting. Cans and sealable food-grade storage buckets work very well for this. The method of using the sun and the wind for drying food has been used for.